"Book of the month": Learn from and with others. 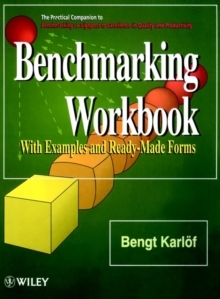 Now it has finally arrived -- the book BENCHLEARNING. An important part of the book deals with the pre--conditions for grown--ups to learn in work life. Benchlearning combines operations and the human element in a win/win--situation. The employers achieve increased efficiency and the employees attain a richer work life. The book contains both the theories in management and pedagogics as well as practical examples from actual projects. Benchlearning change peoples mind--set towards increased awareness and a higher degree of participation and renewal. Chef "Management issues mostly focus on the executive perspective. 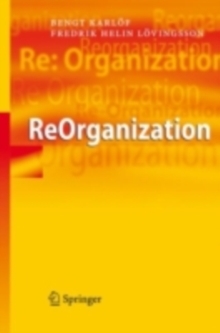 The authors instead emphasise the role of the employees and Benchlearning as a method to develop the "learning organisation". There is substantial new pedagogical thinking and the book constitutes a good example of creative innovation in Swedish management thinking. 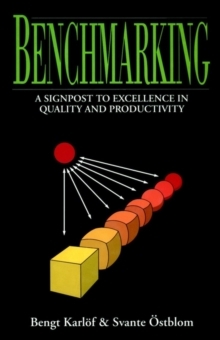 "Dagens Industri Following the success of his previous book, Benchmarking -- A Signpost to Excellence in Quality Productivity, Bengt Karlof creates a new concept -- Benchlearning -- by combining the practical technique of benchmarking with the more abstract ideas of Knowledge Management and Organisational Learning. 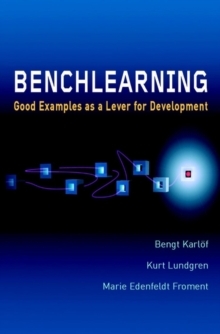 Benchlearning details a completely new way of thinking which provides insights, methods and tools which deal with the continually increasing importance of the human element in organisational development, acknowledges existing theories of knowledge formation and provides case histories (such as Ericsson) and methods with which these new Benchlearning concepts can be applied. The main feature of the book is how to combine efficiency with organisational learning. Using examples from different organisations Benchlearning shows how to monitor efficiency, provide inspiration for a development drive, and illustrate how peoplea s attitudes can be influenced. This emphasis on learning from other peoplea s experience is a key point for successful development. The application of the authors concepts promotes a win--win--win situation -- Employee performance improves as they learn to develop, customers gain more value and choice and owners benefit from a more competitive organisation. 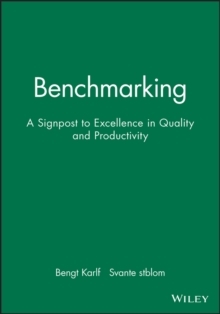 This book provides the next step in benchmarking.